The first recipe I have considered NOT sharing, because it’s sooo good! BEST tasting, & SO SIMPLE to prepare! Line a baking sheet with foil or parchment. Spray with olive oil or coconut oil cooking spray. Rinse shrimp & pat dry. Combine coconut & seasonings, well in medium bowl. Place beaten egg whites in separate bowl. Dredge shrimp into egg whites, then into coconut mixture, pressing lightly. Place Shrimp on baking sheet & spray the tops lightly with your coconut oil or olive oil cooking spray. 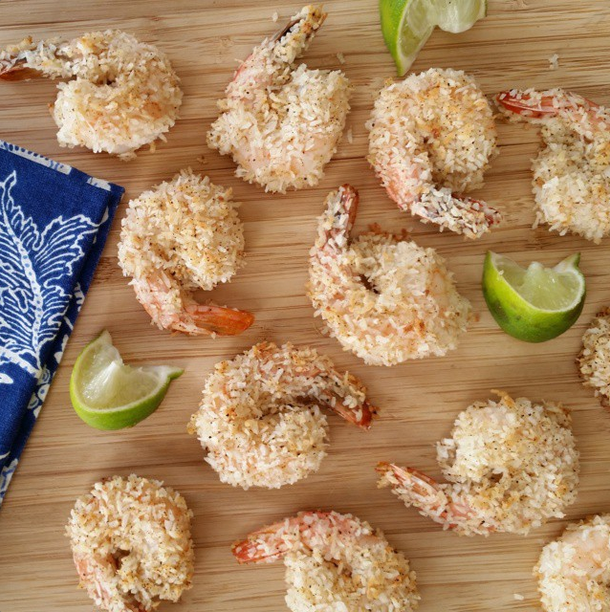 Bake in preheated 425 degree oven for about 10 minutes until shrimp are firm & coconut begins to brown. A part of the CleanFoodLove bundle. You can order it today!